Sell-side firms covering the company, have a 12-month price target of $51.764 on the stock. Verizon has predicted flat year-over-year earnings for 2016 as it does not see enough variables to deliver growth in the coming year. Oppenheimer reiterated a “buy” rating and issued a $54.00 target price on shares of Verizon Communications in a report on Wednesday, July 22nd. Now the company Insiders own 0.11% of Verizon Comm Company shares according to the proxy statements. The net money flow of the block trade stood at a $6.46, signaling heavy buying. On Monday, Micron Technology, Inc. (NASDAQ:MU)’s shares inclined 3.57% to $19.16. 2015-10-21 Large Outflow of Money Witnessed in Micron Technology, Inc.
Micron Technology, Inc. (NASDAQ:MU) During the most recent session, the shares traded at 0.66 points or 3.57% higher at $19.16. The money flow data is unimpressive with the net money flow value of $(-20.57) million. As per the intraday data, the upticks measured $54.62 million and the downticks measured $75.19 million. As a result, the up/down ratio registered a value of 0.73. The shares have seen 3.57% price change for the week.A block trade also made an entry with $1.48 million flowing in through upticks while $12.27 million flew out through downticks. The block tradeoff had the up/down ratio of 0.12. The net money flow for this big transaction was $(-10.79) million. As per the last available information, the stock aggregated $15.47 million in upticks and $10.87 million in downticks, keeping the net money flow capped at $4.6 million. Bringing developers advanced integration, scalability and peripherals all in one chip, Texas Instruments (TI) has announced the Sitara AM57x processor family, the highest performance devices in this processor platform. Micron operates in a highly competitive industry. The outlook for Dynamic Random Access Memory is not rosy at all. However, the risk/reward ratio looks asymmetric. MADISON, Wis.—The multi-mode radio is the Holy Grail of IoT, since any given connected IoT devices will likely operate not in a single but multiple wireless networks. 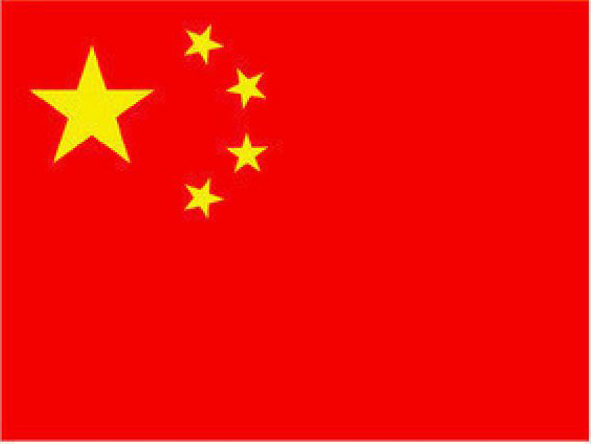 2015-10-13 Freescale Semiconductor Limited (NYSE:FSL): can it hit analyst ratings expectation of Freescale Semiconductor Limited? The overall rating for the company is 2.33. The rating is an average of the various different ratings given by analysts and brokers to Freescale Semiconductor Limited, and then averaged into one rating by a team of analysts at Zacks in Chicago, Illinois. DALLAS, Sept. 29, 2015 /PRNewswire/ -- Enabling embedded developers to jumpstart innovative new designs for the Internet of Things (IoT) era, Texas Instruments (TI) TXN, +1.24% today announced three low-cost evaluation kits based on its embedded processors supporting Microsoft Azure Certified for Internet of Things. As one of the first semiconductor vendors with certified wireless microcontroller- (MCU) and processor-based evaluation kits ready to work with the Microsoft Azure IoT Suite, TI is uniquely positioned to help developers begin IoT application development within minutes. Atmel shares ended trading on Friday at $8.02, down from the $10.42 that the merger agreement with Dialog valued them at the point of signing. The firm has a 50-day moving average price of $215.75 and a 200-day moving average price of $188.15. Dialog Semiconductor PLC announced a $4.6 billion cash-and-stock deal to buy Atmel Corp., the latest sign that chip makers are betting on a technology trend called the Internet of Things. CLARK FREEPORT, Pampanga, Philippines – Texas Instruments Philippines, the biggest semiconductor and electronics manufacturer in the country, is planning to invest $10 million to expand its distribution center at its facility in Clark Freeport Zone. The LSF family of bi-directional voltage level translators from TexasInstruments (TI) operate from 0.8V to 4.5V (Vref_A) and 1.8V to 5.5V(Vref_B). This allows bi-directional voltage translations between 0.8V and5V without the need for a direction terminal in open-drain or push-pullapplications. 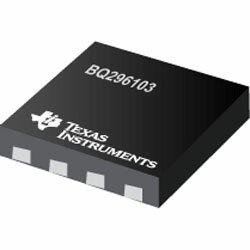 The Texas Instruments (TI) bq296xyz family offers high accuracy, low-powerover-voltage protectors with a 1mA regulated output supply for Li-Ionbattery pack applications. Mouser is now stocking the SAM D10 and SAM D11 SMART ARM-BasedMicrocontrollers from Atmel. 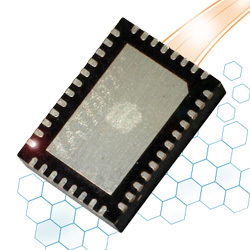 The SAM D10/D11 are low-power microcontrollersbased on a 32-bit ARM Cortex -M0+ processor operating at a maximum frequencyof 48MHz. The SAM D10/D11 microcontrollers offer a rich set of peripherals,flexibility, and ease-of-use at a low entry cost, making them ideal for awide range of general-purpose uses, including home automation, consumer,metering and industrial applications. Mouser now stocks the Texas Instruments (TI) ADS1262 – a 32-bit precisionlow-noise, low-drift, 38.4-kSPS, delta-sigma analog-to-digital converter(ADC). The devices come with an integrated PGA, reference, and internalfault monitors. This Texas Instruments TIDA-00183 shows a high density, high power digital output circuitry. It comes with full protection and isolation for programmable logic controllers in factory automation and control environments. Th BeagleBone-Black cape formfactor allows easy evaluation of the used driver chips and the interoperation with an MSP430 MCU for innovative protection schemes. 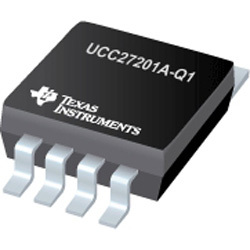 The Texas Instruments UCC27201A-Q1 is a high-frequency N-channel MOSFETdriver that includes a 120V bootstrap diode and high-side / low-side driverwith independent inputs for maximum control flexibility. This allows forN-Channel MOSFET control in half-bridge, full-bridge, two-switch forward andactive clamp forward converters. Now stocked by Farnell element14, Texas Instruments’ TPS544x25 PMBus 1.2compliant, non-isolated SWIFT synchronous DC-DC buck converters withintegrated FETs are capable of high-frequency operation and 20A or 30Acurrent output from a 5mm × 7mm package. This post is sponsored by Texas Instruments. Designed to support 1-lane carrying high-speed interface up to 12.5Gbps, theDS125BR111 is an extremely low-power high-performance repeater / redriverfrom Texas Instruments (TI). STMicroelectronics N.V. (NYSE:STM) is expected to post quarterly earnings on 2015-11-04. Investors will be eagerly eyeing the number the company reports compared to the earnings per share that brokers are predicting. Sell-side firms are looking for the company to post EPS of $0.14 for the quarter ending on 2015-09-30. This consensus number is based on the 3 brokers that are providing estimates. STMicroelectronics NV (NYSE:STM) (TREND ANALYSIS) announced the STiD325 (codenamed Barcelona), its DOCSIS 3.1 chipset for Broadband CPE Cable Modems, embedded Media Terminal Adapters (eMTAs), and Gateways, as well as for Video Gateways when associated to set-top-box chipsets. 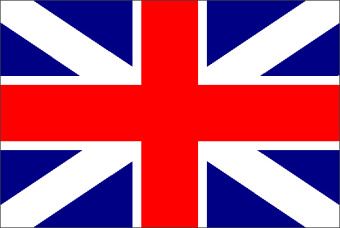 It is being demonstrated at CableLabs Summer Conference, August 2-5, 2015 in Keystone, Colorado, USA. Shares of STMicroelectronics NV (NYSE:STM) have earned an average rating of “Hold” from the twelve ratings firms that are covering the stock, AnalystRatings.NET reports. Three research analysts have rated the stock with a sell rating, seven have assigned a hold rating and two have assigned a buy rating to the company. The average 1 year price target among brokers that have updated their coverage on the stock in the last year is $10.50. The Texas Instruments (TI) ONET1130EC is a 2.5V integrated modulator driverand limiting amplifier with transmit and receive clock and data recovery(CDR) designed to operate between 9.8Gbps and 11.7Gbps without the need fora reference clock. Optical and electrical loopback are included. CDR bypassmode can be used for operation at lower data rates and a two-wire serialinterface allows digital control of the features. Atmel (NASDAQ:ATML) was downgraded by Zacks from a “hold” rating to a “sell” rating in a research report issued to clients and investors on Monday, Analyst Ratings Net reports.